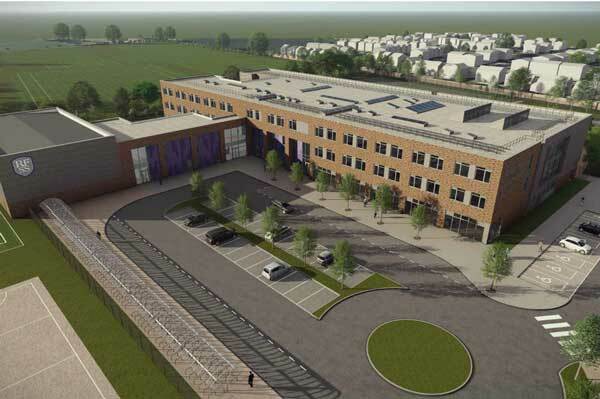 BAM Construction has commenced work on two new schools in Rugby, Warwickshire. The work comprises Rugby Free Secondary School and Quest Academy, a special needs school. The 1,450-place secondary school caters for 11-18 year olds and is run by the Learning Today, Leading Tomorrow Trust. It has been designed sensitively to blend in with the local area, predominantly brick-built over two and three storeys and including green space. The Trust’s first free school, Rugby Free Primary School, opened in Warwickshire in September 2015. The work also includes extensive car parking, a new access road, landscaping, and sports pitches. Pupils are currently housed in temporary accommodation. Quest Academy, situated adjacent to it, caters for 80 special needs pupils and is run by the MacIntyre Academies Trust. BAM will also demolish the current Rokeby Infants School and create new playing fields for Rokeby Primary School in this space.